“Some of the largest retailers in the U.S. and Canada are winning by using our machine learning-based pricing solutions. O’Neil’s strong finance, M&A, and technology background will help us successfully navigate our anticipated growth in 2018,” said Ken Ouimet, CEO and Founder of Engage3. 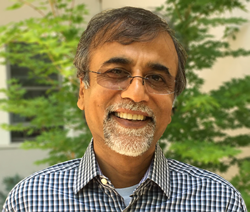 Engage3, which helps retailers and brands enhance their pricing performance through data science and analytics, today announced that O’Neil Nalavadi has joined the team as its new Chief Financial Officer (CFO). Nalavadi will lead Engage3’s financial operations and investor relations. He joins Engage3 from Innodata, Inc. where he was the Chief Financial Officer and Senior Vice President from 2009 to 2017. “The CFO position is a very important role for us. We found O’Neil after searching for nearly a year,” said Ken Ouimet, CEO and Founder of Engage3. “Some of the largest retailers in the U.S. and Canada are winning by using our machine learning-based pricing solutions. O’Neil’s strong finance, M&A, and technology background will help us successfully navigate our anticipated growth in 2018,” he added. "I’m delighted to join the Engage3 team at this exciting time for the company,” said Nalavadi. I look forward to working with Ken and the team to execute on the company’s plans. Engage3 has a unique competitive pricing data and pricing solutions platform for the highly competitive retail industry, and this would have a big impact on the efficiency and effectiveness of our customers’ revenue operations,” he added. Nalavadi has over 16 years of experience in financial and accounting matters. As Chief Financial Officer for Innodata, he led the effort to execute a growth strategy to get into the SaaS business for PR communications by acquiring three companies with a 25% growth rate. Prior to Innodata, he was Chief Financial Officer for R Systems from 2000 to 2009, where he led their IPO in 2006 and increased the company’s market cap 8x during a 10-year period. Prior to R Systems, he served as the Chief Financial Officer and Senior Vice President of UBICS, Inc. until 2000. Mr. Nalavadi received his Bachelor of Commerce and Economics Degree from the University of Mumbai and qualified as a Chartered Accountant with National Honor Roll. Engage3 has assembled a team of price optimization pioneers to develop the next generation of price optimization. The company was founded by the creators of SAP (KhiMetrics), who are credited with creating the retail price optimization space. Engage3's leadership team is composed of former SAP (KhiMetrics), dunnhumby, KSS Retail and IBM (DemandTec) executives. Engage3's focus is on data quality and management which are the foundation of successful price optimization implementations. Their Competitive Intelligence Platform (CIP) is an integrated end-to-end solution that uses data science to ensure data quality. CIP 1) enables retailers to automate the management and optimize the design of their competitive shop program, 2) uses demand-side product attributes to link “Like” competitor products, and 3) reverse-engineers and monitor competitors’ pricing strategies. Competitive Price Response (CPR) optimizes pricing, and manages a consistent price image across different channels, markets, and categories while providing control over the quarterly sales and profits. Engage3 was named in the top 1,500 firms in last year’s Inc. 5000 Fastest Growing Private Companies in the U.S. It also recently raised its Series B financing from retail technology-focused venture capitalists. More information is available at http://www.engage3.com.